Although it’s difficult to remember those days eight years ago when Democrats seemed to represent something idealistic and hopeful and brave, let’s take a moment and try to recall the stand Barack Obama once took against lobbyists. Those were the days when the nation was learning that George W. Bush’s Washington was, essentially, just a big playground for those lobbyists and that every government operation had been opened to the power of money. Righteous disgust filled the air. “Special interests” were much denounced. And a certain inspiring senator from Illinois promised that, should he be elected president, his administration would contain no lobbyists at all. The revolving door between government and K Street, he assured us, would turn no more. Instead, the nation got a lesson in all the other ways that “special interests” can get what they want — like simple class solidarity between the Ivy Leaguers who advise the president and the Ivy Leaguers who sell derivative securities to unsuspecting foreigners. As that inspiring young president filled his administration with Wall Street personnel, we learned that the revolving door still works, even if the people passing through it aren’t registered lobbyists. But whatever became of lobbying itself, which once seemed to exemplify everything wrong with Washington, D.C.? Perhaps it won’t surprise you to learn that lobbying remains one of the nation’s persistently prosperous industries, and that, since 2011, it has been the focus of Influence, one of the daily email newsletters published by Politico, that great chronicler of the Obama years. Influence was to be, as its very first edition declared, “the must-read crib sheet for Washington’s influence class,” with news of developments on K Street done up in tones of sycophantic smugness. For my money, it is one of the quintessential journalistic artifacts of our time: the constantly unfolding tale of power-for-hire, told always with a discreet sympathy for the man on top. It is true that Americans are more cynical about Washington than ever. To gripe that “the system is rigged” is to utter the catchphrase of the year. But to read Influence every afternoon is to understand how little difference such attitudes make here in the nation’s capital. With each installment, the reader encounters a cast of contented and well-groomed knowledge workers, the sort of people for whom there are never enough suburban mansions or craft cocktails. One imagines them living together in a happy community of favors-for-hire where everyone knows everyone else, the restaurant greeters smile, the senators lie down with the contractors, and the sun shines brilliantly every day. This community’s labors in the influence trade have made the economy of the Washington metro area the envy of the world. The newsletter describes every squeaking turn of the revolving door with a certain admiration. Influence is where you can read about all the smart former assistants to prominent members of Congress and the new K Street jobs they’ve landed. There are short but meaningful hiring notices — like the recent one announcing that the blue-ribbon lobby firm K&L Gates has snagged its fourth former congressional “member.” There are accounts of prizes that lobbyists give to one another and of rooftop parties for clients and ritual roll calls of Ivy League degrees to be acknowledged and respected. And wherever you look at Influence, it seems like people associated with this or that Podesta can be found registering new clients, holding fundraisers, and “bundling” cash for Hillary Clinton. As with other entries in the Politico family of tip-sheets, Influence is itself sponsored from time to time — for one exciting week this month, by the Federation of American Hospitals (FAH), which announced to the newsletter’s readers that, for the last 50 years, the FAH “has had a seat at the table.” Appropriately enough for a publication whose beat is venality, Influence also took care to report on the FAH’s 50th anniversary party, thrown in an important room in the Capitol building, and carefully listed the many similarly important people who attended: the important lobbyists, the important members of Congress, and Nancy-Ann DeParle, the Obama administration’s important former healthcare czar and one of this city’s all-time revolving-door champions. Describing parties like this is a standard theme in Influence, since the influence trade is by nature a happy one, a flattering one, a business eager to serve you up a bracing Negroni and encourage you to gorge yourself on fancy hors d’oeuvres. And so the newsletter tells us about the city’s many sponsored revelries — who gives them, who attends them, the establishment where the transaction takes place, and whose legislative agenda is advanced by the resulting exchange of booze and bonhomie. The regular reader of Influence knows, for example, about the big reception scheduled to be hosted by Squire Patton Boggs, one of the most storied names in the influence-for-hire trade, at a certain office in Cleveland during the Republican Convention… about how current and former personnel of the Department of Homeland Security recently enjoyed a gathering thrown for them by a prestigious law firm… about a group called “PAC Pals” and the long list of staffers and lobbying types who attended their recent revelry… about how the Democratic National Committee Chair Debbie Wasserman Schultz and the gang got together at a much-talked-about bar to sip artisanal cocktails. Bittersweet is the flavor of the recent story about the closing of Johnny’s Half Shell, a Capitol Hill restaurant renowned for the countless fundraisers it has hosted over the years. On hearing the news of the restaurant’s imminent demise, Influence gave over its pixels to tales from Johnny’s glory days. One reader fondly recounted a tale in which Occupy protesters supposedly interrupted a Johnny’s fundraiser being enjoyed by Senator Lindsey Graham and a bunch of defense contractors. In classic D.C.-style, the story was meant to underscore the stouthearted stoicism of the men of power who reportedly did not flinch at the menacing antics of the lowly ones. Influence is typically written in an abbreviated, matter-of-fact style, but its brief items speak volumes about the realities of American politics. There is, for example, little here about the high-profile battle over how transgender Americans are to be granted access to public restrooms. However, the adventures of dark money in our capital are breathlessly recounted, as the eternal drama of plutocracy plays itself out and mysterious moneymen try to pass their desires off as bona fide democratic demands. You will have noticed, reader, the curiously bipartisan nature of the items mentioned here. But it really shouldn’t surprise you. After all, for this part of Washington, the only real ideology around is based on money — how much and how quickly you get paid. Money is divine in this industry, and perhaps that is why Influence is fascinated with libertarianism, a fringe free-market faith which (thanks to its popularity among America’s hard-working billionaires) is massively over-represented in Washington. Readers of Influence know about the Competitive Enterprise Institute and its “Night in Casablanca” party, about the R Street Institute’s “Alice in Wonderland” party, about how former Virginia Attorney General Ken Cuccinelli came to sign up with FreedomWorks, and how certain libertarians have flown from their former perches in the vast, subsidized free-market coop to the fashionable new Niskanen Center. There are also plenty of small-bore lobbying embarrassments to report on, as when a currently serving congressional representative sent a mean note to a former senator who is now an official at the American Motorcyclist Association. Or that time two expert witnesses gave “nearly identical written statements” when testifying on Capitol Hill. Oops! But what most impresses the regular reader of Influence is the brazenness of it all. To say that the people described here appear to feel no shame in the contracting-out of the democratic process is to miss the point. Their doings are a matter of pride, with all the important names gathering at some overpriced eatery to toast one another and get their picture taken and advance some initiative that will always, of course, turn out to be good for money and terrible for everyone else. This is not an industry, Influence’s upbeat and name-dropping style suggests. It is a community — a community of corruption, perhaps, but a community nevertheless: happy, prosperous, and joyously oblivious to the plight of the country once known as the land of the middle class. From the bestselling author of What's the Matter With Kansas, a scathing look at the standard-bearers of liberal politics -- a book that asks: what's the matter with Democrats? 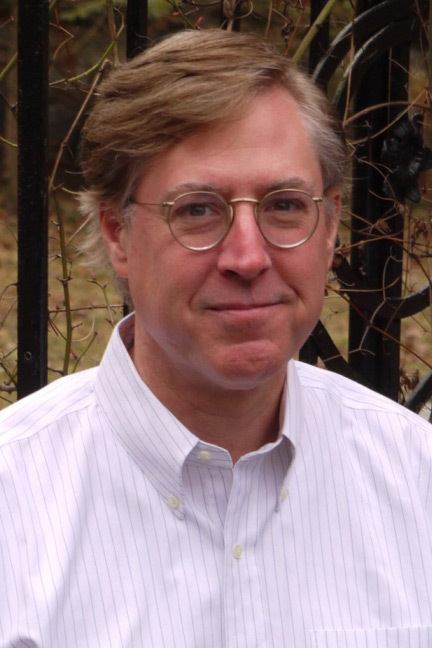 Thomas Frank is the author of Listen, Liberal, Pity the Billionaire, The Wrecking Crew, and What’s the Matter with Kansas? A former columnist for The Wall Street Journal and Harper’s, Frank is the founding editor of The Baffler and writes regularly for The Guardian. He lives outside Washington, D.C.
Looks interesting, is the book available on amazon?